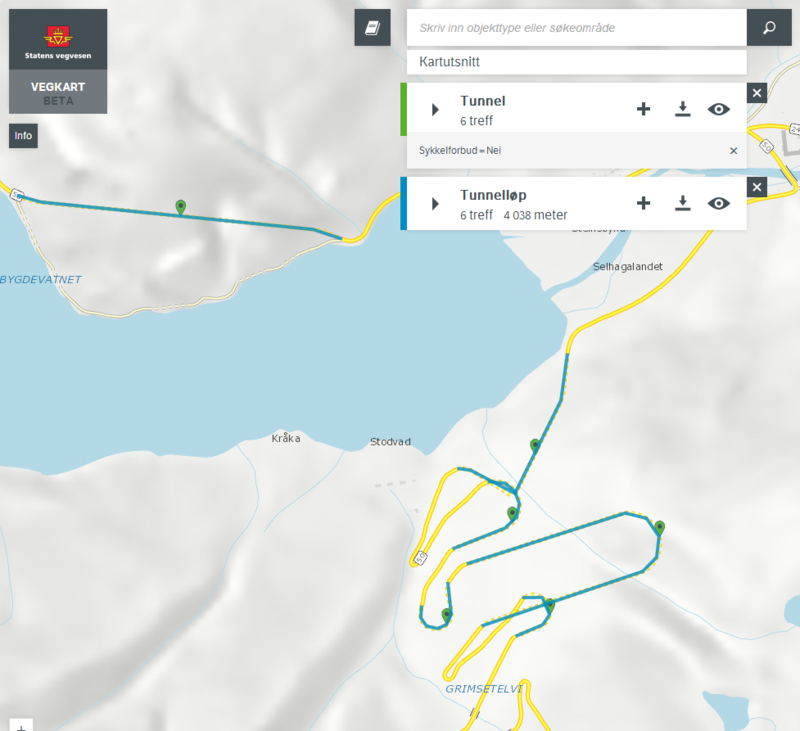 Where I can find the map with norway tunnels where cyclists are not allowed to travel? We strongly encourage you also to investigate other sources of information that are more tailored to the needs of cyclists, but we will of course do what we can with the tools we have. 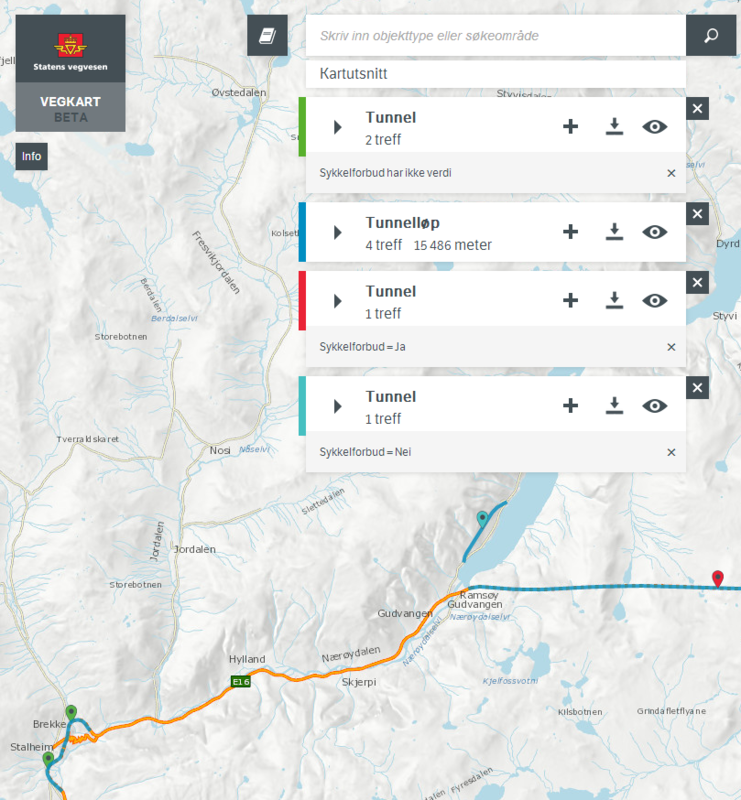 The Norwegian Public Road Administration (NPRA) are rather proud of our efforts toward an open government / open data policy. Cycling in tunnels along this part county road 50 in Aurland is allowed. There is one little snag: A tunnel in our road database is defined as a point object. What you and I think of as a tunnel — a man-made pipe caved through rock — is called tunnelløp. We define tunnels this way because a modern tunnel can be a very complicated high-tech construction with any number of pipes. 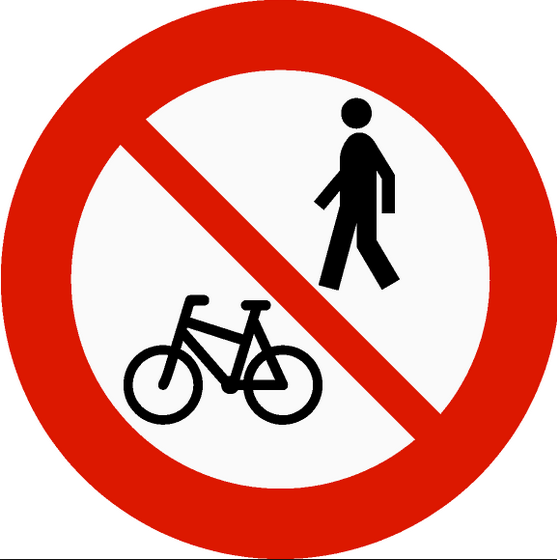 But what about finding the tunnels I can’t ride a bike in? Is that simply the reverse, i.e. sykkelforbud = Ja. 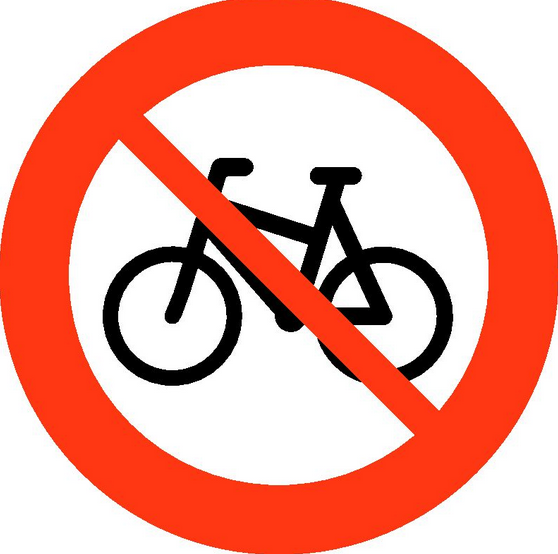 Biking restriction undefined (har ikke verdi), not allowed (sykkelforbud=Ja) and allowed (sykkelforbud=nei). And yes, you may find this map a bit messy. Please bear in mind that our web application Vegkart is not made for tourists – it is a general tool to find and show any kind of road related object, developed for and by the NPRA. 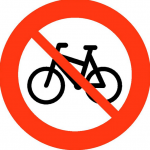 One last note: Traffic signs take precedence over our road data base, so please respect any «No cycling» — sign.